What is the difference between an investment and an expense? Simply put, expenses are to be reduced. Investments are to be maximized. As long as an investment has a return (ROI), the investment leads to a profit or increased profits, smart companies aim to invest as much as possible. The chief consideration for investment decisions is the return on a proposed investment versus an alternative deployment of that capital. This story from The New York Times sheds interesting light on the often confusing distinction between expenses and investment in human capital. Be sure to listen to the brief audio recording “Reframing our Feelings About Expenses” that is embedded in the story. The question about ROI that should be applied to sales training investments is this: What percentage increase in sales productivity can be reasonably anticipated from sales training? I encourage my clients to think of a minimum of 10% increase in sales. Though for less experienced sales executives results could easily increase 30%. Here is how. 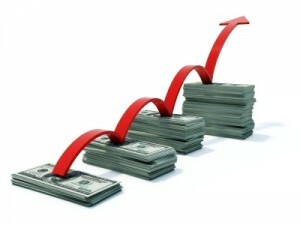 At ambro.com we focus on three activities that drive sales. First is simply getting appointments, whether in-person or on the phone or by SnapChat (only slightly kidding), nothing happens without beginning the communication. Doing it more will lead to more sales. For a sales person selling national accounts, increasing from 5 to 6 in-person appointments per day is a 20% increase. That, by itself, will increase results. Then, what if you can become more persuasive? 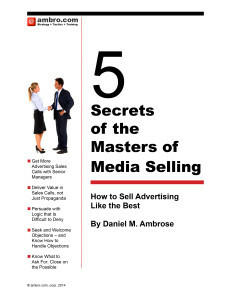 Ambro.com can show you how to be more persuasive in those sales calls. Presenting a persuasive argument can increase sales results by 20% by itself; changing the meeting from nice-but-inclusive to advancing-the-sale, and eventually closing more sales. Most sales people fail to persuade because they forget to achieve agreement on needs as the first step of persuasion. Finally, ambro.com sales training can help any sales person to better overcome objections. One aspect of objection handling is knowing the “answer.” Perhaps the most important part of objection handling is helping prospects to change their minds, their point of view, without backing them into a corner. There are 5 skills that separate the average ad sales person from the very best. Ambro.com can design a training program to address one, or all five. Get in touch with us here to learn more.